Hey guys, so i love the Superhawk but am not crazy about the outdated look of the front end. I'm just not a big fan of the large triangular headlight, with that said. I want to do a custom projector swap along the lines of what is below. Now ideally i'd like to get my hands on a upper race fairing for the hawk that has the headlight hole enclosed but they are hard to come by used. 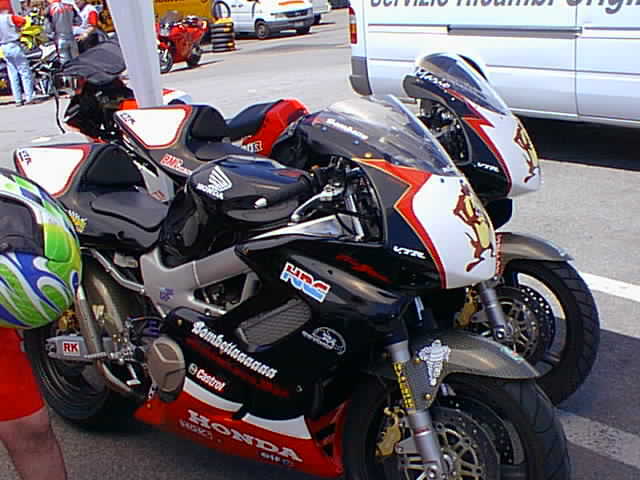 With that said, has anyone had any lucky retrofitting race fairings from another bike that required minimal work onto their Hawk? Sure others have done it. Did you Google it? For the amount of work involved in mounting another bikes fairings onto the Superhawks, it would be far more simple to fill the headlight hole, then do whatever design you want. Edit: Or if you wanted to do it on the cheap, then do the projector headlamp conversion and paint or vynil wrap over the headlight (same color as the front of the bike) except for a hole for the projector of course. Last edited by CruxGNZ; 10-16-2013 at 10:06 PM. I'm not too familiar with using fiberglass and i wanted the finish to be pretty much seamless which is why i opted for a full fairing versus filling it in. The only other fairings i've seen on a Superhawk are the RC51 fairings which have the air vent in the center and defeat the purpose. or search for Mario Nava from Italy. Last edited by Wicky; 10-17-2013 at 07:03 AM. 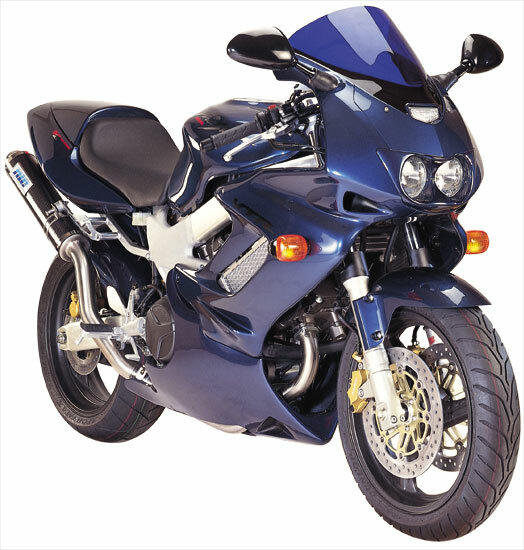 I would love to have the Mario nova fairings, unfortunately I am limited by my budget which is sub 300. The other race fairing you linked is 273 + shipping and is a pretty option. Looking to explore all other options before breaking the bank. www.vtr1000.org &bull; View topic - I have some bits! I have 50 posts! A race fairing £50 posted includes a double bubble screen. This is a pain to post! Please buy with the seat unit! Thanks! I see someone else is interested but i'm waiting for my registration to be complete and then will PM him, hopefully he ships to the US! How 'bout the RC-wanna-be look? Is this a Sharkskinz race faring? No inner farings, I can see daylight through the air duct opening. They are listed at $345+shipping. Price wise it's a little (a lot?) more than your stated budget. The modded RC51 with the projector in the air duct opening looks good. With the cost of an RC faring and lots of time to get to that point, you have to make the call. I look forward to updates on you project. I like the sharkskinz fairing, problem is finding one cheap. I don't mind if it needs some work as i'll be covering it in carbon anyway. The projector kit is $150 and i still need to fabricate my own brackets so i'd like to find an upper race fairing for around the same price. I've found that solutions to my problems always involve more one hundred dollar bills that I originally thought. Looks like he sold that one Wicky, thanks for the heads up though! If anyone else has a lead on a upper race fairing let me know! I'll be scrounging Ebay and here until one pops up! The orange one has flounder eyes! 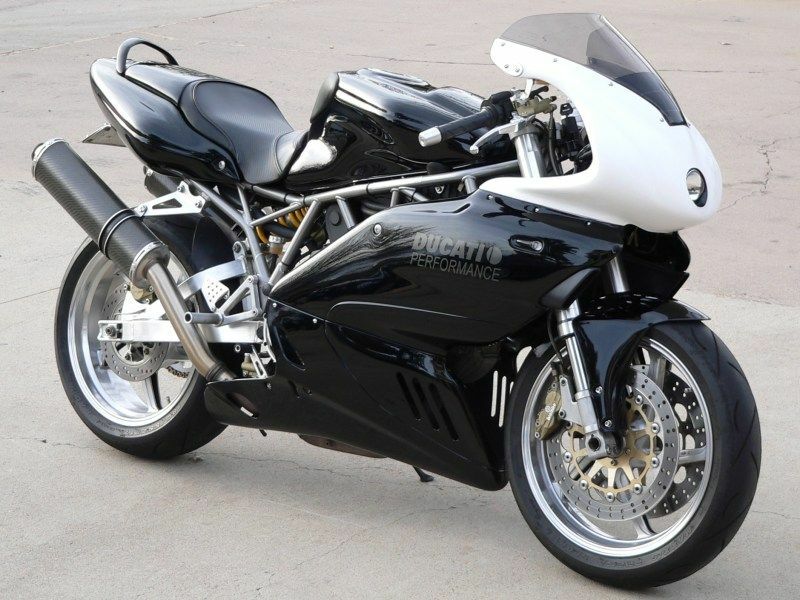 Now we know why the Duc 999 never sold well. LOL! 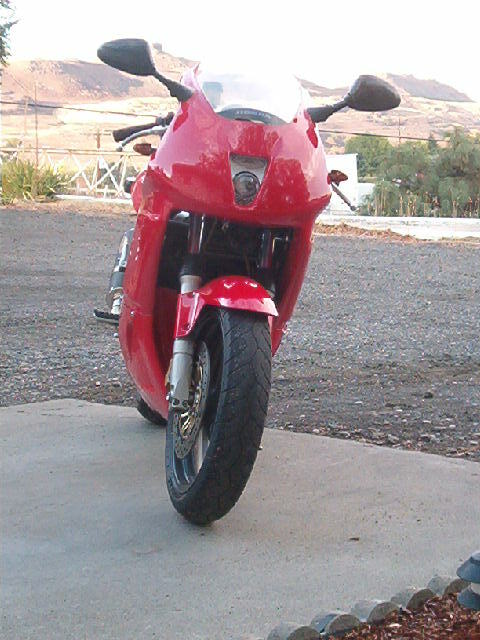 WTB: Red left fairing, upper fairing stay, gear shift lever, left mirror.